Home / Unlabelled / Trick to Purchases Xiaomi Mobiles in Flash Sale . 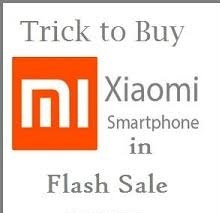 Trick to Purchases Xiaomi Mobiles in Flash Sale . Hey guys in this post we will suggest you some basic tricks to purchases xiaomi phone in flash sales through any of the E-Commerce sites .so following are the some of the basic tricks so follow it clear-fully. There are many extension available in internet through which you can purchases your phone . And also many application which helps you to purchases the phone.Using an extension to purchases your phone in a flash sales increase a chance of almost 90% .but it doesn't guaranty 100% chances . 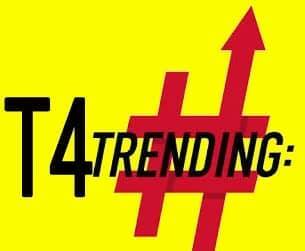 if you are planing to buy any thing from flash sales then you should try it with your laptop or PC do not try it with your mobile . For purchasing any nothing from flash sales be ready 10 min before the sales starts because sometimes the sales may starts 5-6 min before the schedule time . so for this reason you should be ready before the schedule time. You should enable email notification which will remind you about the sales and its timing along with date and availability of stocks. If you are ordering any thing from the flash sales then select COD mode which will help you to placed your order as soon as possible. it will be benefit for you if you select COD mode it is very easy method and use by 90% of the customers who are ordering in flash sales . The above mention point where some of the important point that you should keep in mind while placing an order in flash sales . so thank you guys for going through our blog hope it will help you and once again thank you.